* The Heian period (Heian jidai :AD794~1185) : The last division of classical Japanese history. 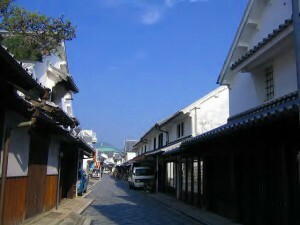 The period is named after the capital city of Heian-kyō, or modern Kyōto. It is the period in Japanese history when Buddhism, Taoism and other Chinese influences were at their height. The Heian period is also considered the peak of the Japanese imperial court and noted for its art, especially poetry and literature. Although the Imperial House of Japan had power on the surface, the real power was in the hands of the Fujiwara clan, a powerful aristocratic family who had intermarried with the imperial family. Many emperors actually had mothers from the Fujiwara family. Heian means “peace and tranquility” in Japanese. * The Kamakura period (Kamakura jidai AD1185~1333): The period of Japanese history that marks the governance by the Kamakura Shogunate, officially established in 1192 AD in Kamakura, by the first shogun Minamoto no Yoritomo.The Kamakura period ended in 1333 AD, with the destruction of the shogunate and the short reestablishment of imperial rule, under Emperor Go-Daigo by Ashikaga Takauji, Nitta Yoshisada, and Kusunoki Masashige. * The Nanboku-chō period ( Nanboku-chō jidai, “South and North courts period”, also known as the Northern and Southern Courts period: AD1336~1392) : The period that occurred during the formative years of the Muromachi bakufu of Japan’s history. During this period, there existed a Northern Imperial Court, established by Ashikaga Takauji in Kyoto, and a Southern Imperial Court, established by Emperor Go-Daigo in Yoshino. The two courts fought for fifty years, with the South giving up to the North in 1392. However, in reality the Northern line was under the power of the Ashikaga shoguns and had little real independence. * The Muromachi period (Muromachi jidai, also known as the Muromachi era, the Ashikaga era, or the Ashikaga period AD1337~1573) : The period marks the governance of the Muromachi or Ashikaga shogunate (Muromachi bakufu or Ashikaga bakufu), which was officially established in 1338 by the first Muromachi shogun, Ashikaga Takauji, two years after the brief Kemmu restoration (1333?1336) of imperial rule was brought to a close. The period ended in 1573 when the 15th and last shogun of this line, Ashikaga Yoshiaki, was driven out of the capital in Kyoto by Oda Nobunaga. The early years from 1336 to 1392 of the Muromachi period are known as the Nanboku-chō or Northern and Southern Court period. This period is marked by the continued resistance of the supporters of Emperor Go-Daigo, the emperor behind the Kemmu restoration. The years from 1465 to the end of the Muromachi period are also known as the Sengoku period or Warring States period. * The Sengoku period (Sengoku jidai? or Warring States period ,AD15C~17C) : The time of social upheaval, political intr igue, and nearly constant military conflict that lasted roughly from the middle of the 15th century to the beginning of the 17th century. The Sengoku period in Japan would eventually lead to the unification of political power under the Tokugawa shogunate. Although the Ashikaga shogunate had retained the structure of the Kamakura bakufu and instituted a warrior government based on the same social economic rights and obligations established by the Hōjō with the Jōei Code in 1232, it failed to win the loyalty of many daimyo, especially those whose domains were far from Kyoto. As trade with China grew, the economy developed, and the use of money became widespread as markets and commercial cities appeared. This, combined with developments in agriculture and small-scale trading, led to the desire for greater local autonomy throughout all levels of the social hierarchy. As early as the beginning of the 15th century, the suffering caused by earthquakes and famines often served to trigger armed uprisings by farmers weary of debt and taxes. The Ōnin War (1467?1477), a conflict rooted in economic distress and brought on by a dispute over shogunal succession, is generally regarded as the onset of the Sengoku period. The “eastern” army of the Hosokawa family and its allies clashed with the “western” army of the Yamana. Fighting in and around Kyoto lasted for nearly 11 years, leaving the city almost completely destroyed. The conflict in Kyoto then spread to outlying provinces. * The Azuchi-Momoyama period ( Azuchi-Momoyama jidai?? AD1573~1603) : The end of the Warring States Period in Japan, when the political unification that preceded the establishment of the Tokugawa shogunate took place. It spans the years from approximately 1573 to 1603, during which time Oda Nobunaga and his successor, Toyotomi Hideyoshi, imposed order upon the chaos that had pervaded since the collapse of the Ashikaga Shogunate. 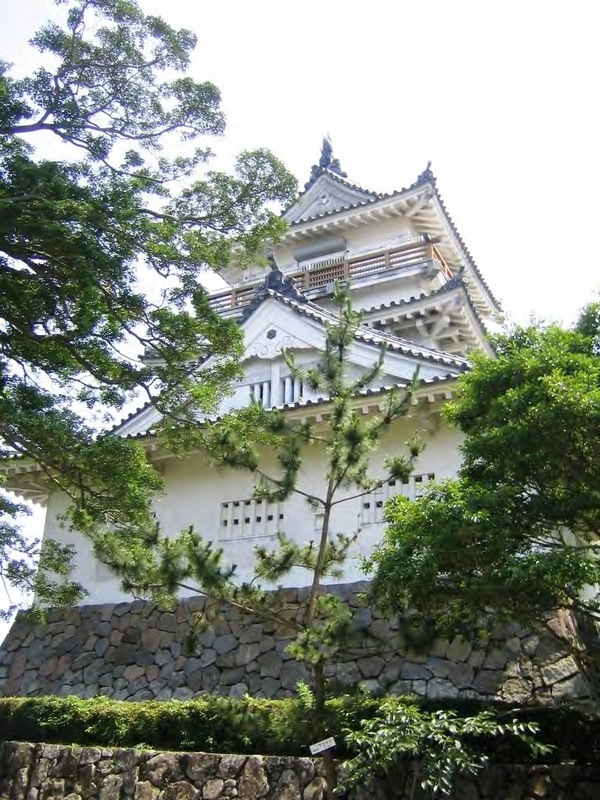 The name of this period is taken from Nobunaga’s castle, Azuchi Castle, in the present-day town of Azuchi, Shiga Prefecture and Hideyoshi’s castle, Momoyama Castle (also known as Fushimi Castle), in Kyoto. Although a start date of 1573 is often given, in more broad terms, this period begins with Nobunaga’s entry into Kyoto in 1568, when he led his army to the imperial capital in order to install Ashikaga Yoshiaki as the 15th, and ultimately final, shogun of the Ashikaga shogunate, and lasts until the coming to power of Tokugawa Ieyasu after his victory over supporters of the Toyotomi clan at the Battle of Sekigahara in 1600. * The Edo Period ( Edo jidai , or Tokugawa period, Tokugawa jidai? AD1603~1868): The division of the history of Japan when it was ruled by the shoguns of the Tokugawa family, running from 1603 to 1868. Characterized by strict social orders, isolationist foreign policies, and an increase in both environmental protection and the creation and popular enjoyment of arts and culture, Japanese society during this period was controlled by the Tokugawa shogunate and the country’s 300 regional Daimyo. The Tokugawa shogunate was officially established in Edo on March 24, 1603 by the shogun Tokugawa Ieyasu. The Tokugawa shogunate was overthrown by the Meiji Restoration on May 3, 1868, with the fall of Edo and the restoration of the Tenno’s rule after the reign of the fifteenth and last shogun Tokugawa Yoshinobu. * The Meiji period ( Meiji-jidai, known as the Meiji era,AD1868~July1912) : This period represents the first half of the Empire of Japan during which Japanese society moved from being an isolated feudalism to its modern form. Fundamental changes affected its social structure, internal politics, economy, military, and foreign relations. * Sankin-kotai is one of the Edo bakufu (Japanese feudal government headed by a shogun)’s system that obligated daimyo (Japanese feudal lords) to reside in Edo periodically.The sankin-kotai system aimed to curb daimyo’s power for uprisings or rebellious acts by putting financial burdens on them. On the other hand, because of sankin-kotai, roads and shukuba (post stations) were maintained. * Ikkoku Ichijo Rei (the Law = The decree of one castle per province) was established by the Edo bakufu (Japanese feudal government headed by a shogun) on August 7, 1615.So,each daimyo retained only one castle and destroyed others. Execution of Ikkoku Ichijo Rei was a declaration of intention by all daimyo “not to make war. 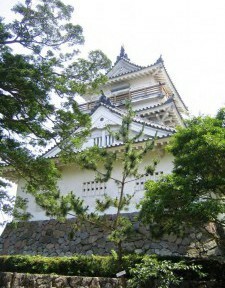 * Honjin was the officially appointed inn,established for court nobles and samurai to stay and rest? It was not accommodations for commercial purposes, and residences of the wealthy in the area were often appointed as honjin. * Shikkui ?is an ecological nontoxic Japanese lime plaster primarily made out of hydraulic lime and calcium carbonate coming from reprocessed eggshells. It is mainly used for surface coatings of walls and ceilings in housing construction. * Udatsu (a fire-preventative structural element used in residential houses) is a building term. 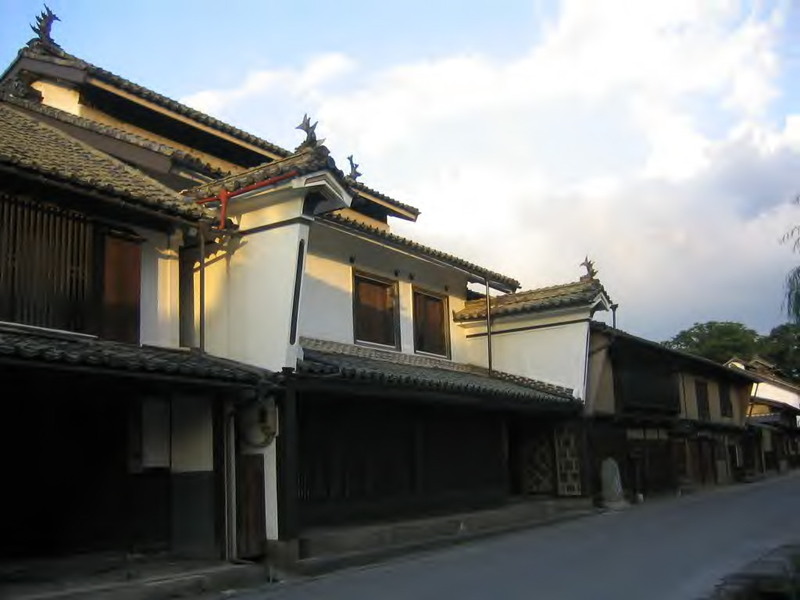 A small fire-preventive wall was placed between gabled roofs of adjacent houses so that the wall protruded between the first floor roof and the second floor roof, and this wall became to be called udatsu. Later,mainly in the Kansai region, merchants competed with each other to attach splendid udatsu to their houses as an indication of their financial power.